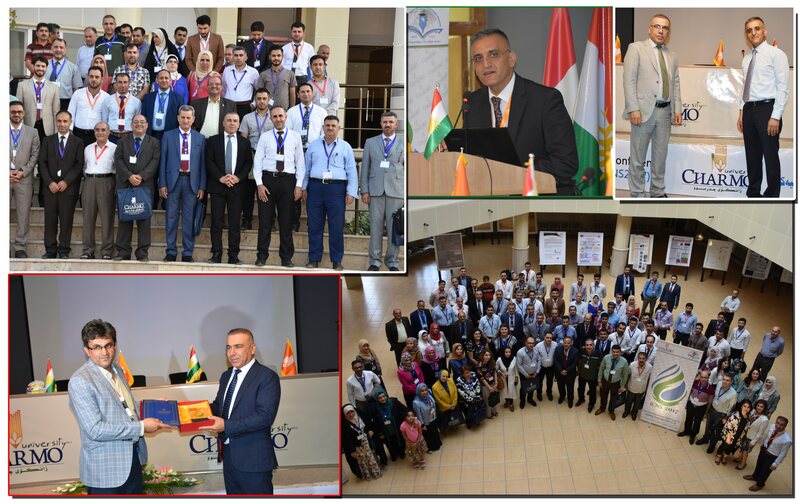 The ICNS 2016 was an important scientific event in the field of Natural Sciences, which gave the opportunity for networking for the speakers, poster presenters, and participants came from different regions of IRAQ and abroad. The well-organized tasks delegation among the committee members, the well marketing and public relations, the excellent and attractive place of the conference, and the participation of innovative and expert keynote speakers and presenters, all made ICNS 2016 a very well organized event both logistically and in terms of its scientific contents. Following this success in July 2016, we are delighted to bring you our ICNS 2017 in July 5th, 6th in Chamchamal, College of Basic Education, Charmo University. ICNS invites the participants to attend the 2nd International Conference on various science disciplines, which is going to be held at Charmo University (ChU), during July 5-6, 2017 with the theme of 2nd International Conference of Natural Science. • Abstract Submission before May 20, 2017. • Full Paper Submission before June 10, 2017. • Camera Ready Paper Submission June 20, 2017. 1. Prepare your manuscript in a paper format and submit it via email to (icns2017@charmouniversity.org). 3. After receiving the acceptance letter from us, you can then officially register for the conference and pay the registration fees in order to publish the paper in the conference proceedings. Prospective authors are kindly invited to submit full papers including the tables, figures, results, and references of their researches. Full papers (in text format) will be accepted through (icns2017@charmouniversity.org). All submitted articles should be previously unpublished, original research results whether experimental or theoretical. Articles submitted to the conference should meet our criteria and must not be considered for publication elsewhere.